The Skyland Farm team continued on collecting great ribbons and fun memories during the Deeridge Hunter and Jumper Derby, March 1-5 in Wellington, Florida. Highlights were Leslie Kopp’s Bethany and rider Chiara Carney taking ninth place in the $5,000 Deeridge Hunter Derby. 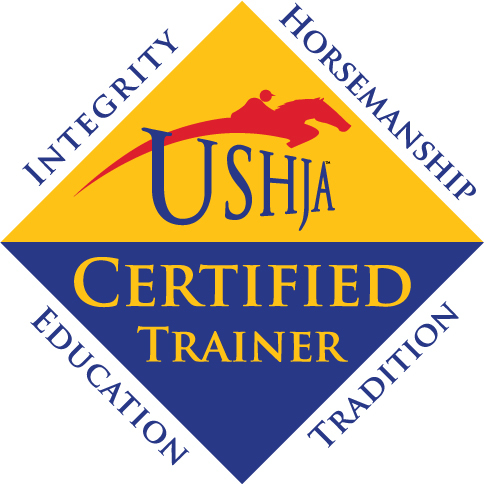 “She was in super company, and they where both great!” said trainer Denice Perry of the field of 40 competitors. To watch Emma and Ari in action, please click here. A special congratulations to Virginia Bonnie for her awesome results on the HITS Coachella Desert Circuit in California. Winner of three $2,500 M&S/NAL High Children’s Jumper Classics with Captiva, blue ribbon in the USEF Talent Search Medal 2* and victory in the $1,000 Children’s/Adult Speed Classic. Way to go! 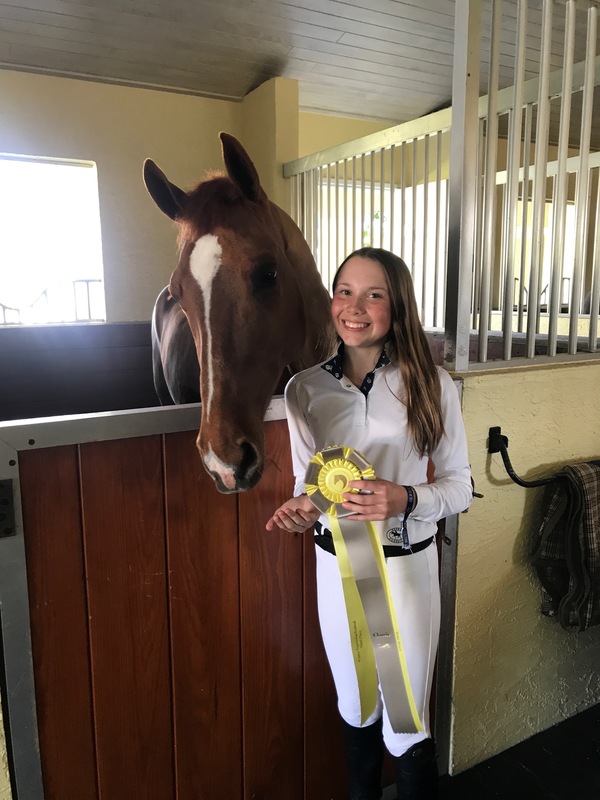 After a successful first week on the Winter Equestrian Festival circuit, Emma Pell continued her winning ways and also moved up a level in the jumpers, for a gratifying Week 2, held January 18-22 at the Palm Beach International Equestrian Center in Wellington, Florida. Emma Pell and Ari 55 with trainer Chiara Carney. 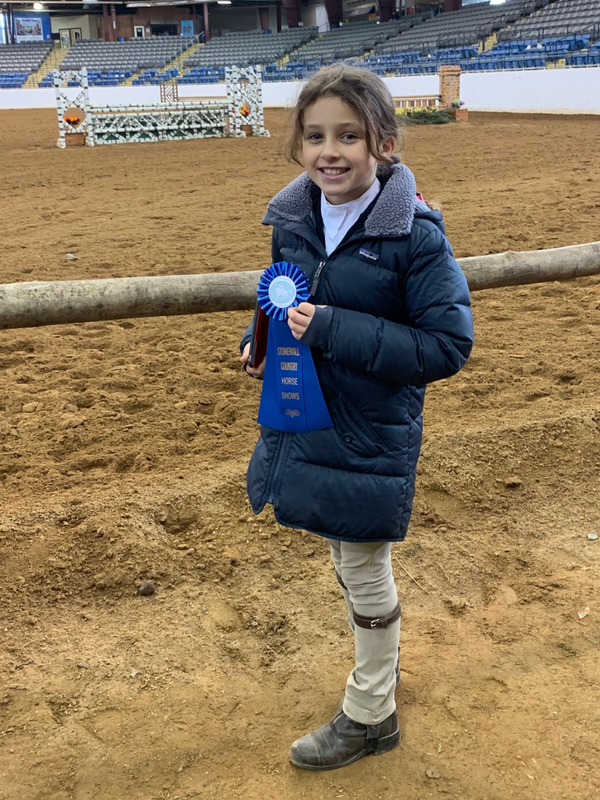 Emma and Ari 55 placed first in the Low Children’s Jumpers (in a class of 61 competitors) and then moved up to the High section, where they earned an impressive fourth at 1.15m in the High Children’s Jumper classic. Emma also jumped to second place aboard Amelie in the Low Children’s Jumper Classic in a field of 55 entries. Leslie Kopp joined the Skyland Farm team in the show ring this week, riding her Gone Country in the 3’3″ Amateur-Owner Hunters. She also received blue ribbon clears in the .95 Training Jumpers with Cardine for an excellent start to the circuit. Skyland Farm also congratulates client Virginia Bonnie for her success on the HITS Desert circuit in California. During Week 1, Virginia won the Marshall & Sterling High Children’s Jumper Classic aboard Captiva, earned great ribbons in her equitation debut aboard Jelti JS and guided Blue A Kiss to top placings in the Large Pony Hunters. Leslie Kopp and Cardine relaxing between jumper classes. 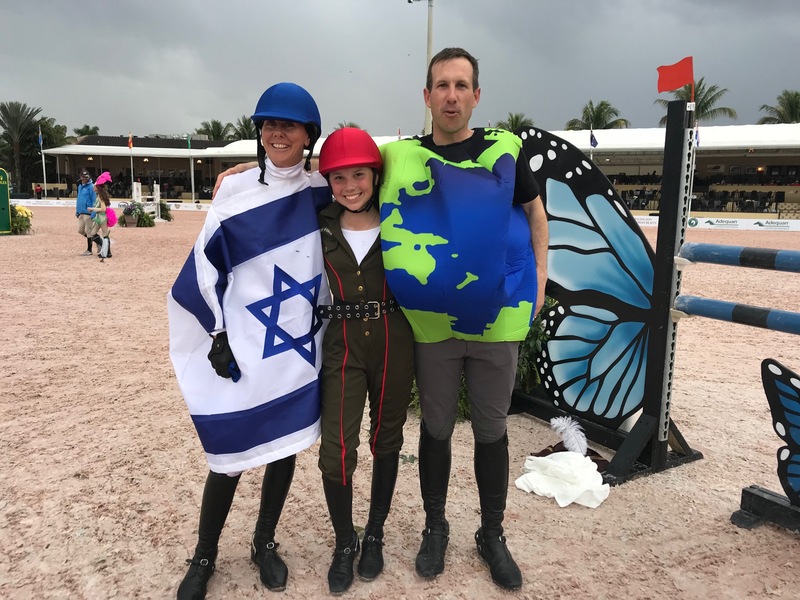 Skyland Farm riders and horses enjoyed a great start during Week 1 of the Winter Equestrian Festival circuit in Wellington, Florida, held January 11-15 at the Palm Beach International Equestrian Center. Emma Pell and Amelie earned the Low Children’s Jumper championship and won the $1,500 Low Children’s Jumper Classic. Most impressively, Emma’s victories came with 65 entries in the jumper section and 60 in the Classic. She also placed fourth in the Classic aboard Ari 55 for two impressive ribbons. 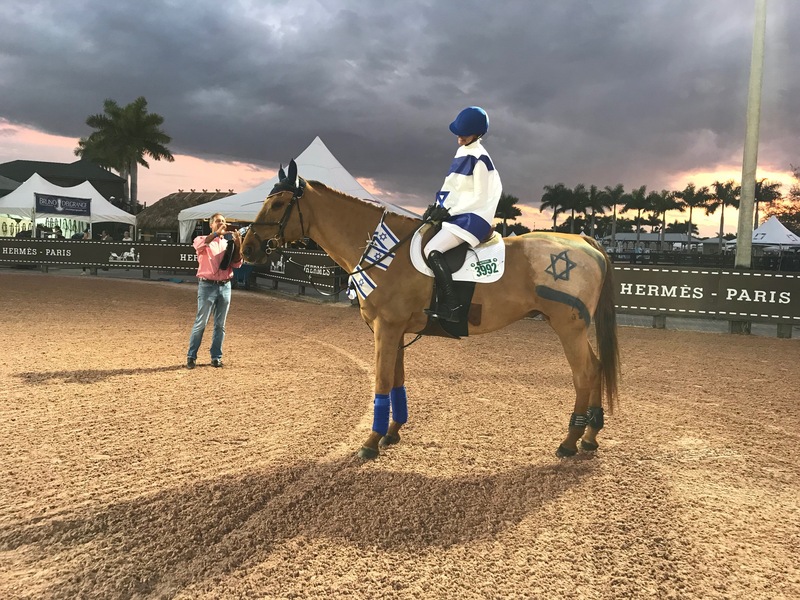 The 2016 Winter Equestrian Festival circuit in Wellington, Florida, got underway at the Palm Beach International Equestrian Center on January 13-17, and the Skyland Farm team started out strongly with ribbons from the ponies to the hunters and equitation. 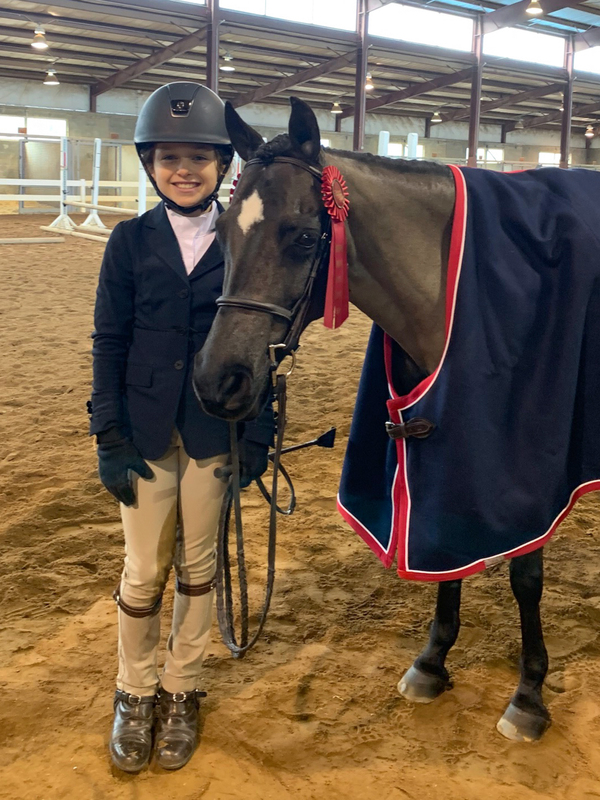 Emma Pell and Forget Me Not continued their winning ways from 2015 with the Small Pony Hunter Owner/Rider Reserve Championship in a competitive field of 23 top ponies. Emma also guided Virginia Bonnie’s Wink And Smile to excellent ribbons, including a sixth in the Small Pony Hunter Classic. 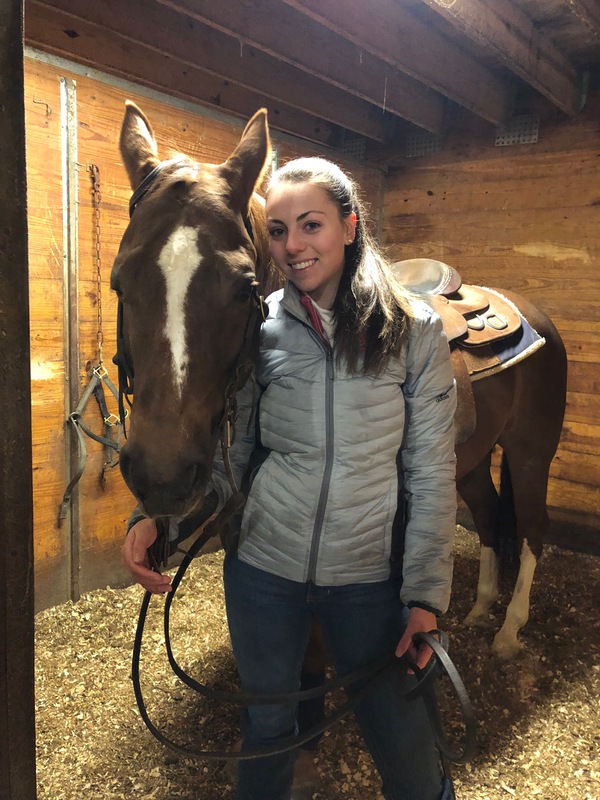 “Both ponies went really well all weekend with many ribbons despite the weather on Sunday,” said trainer Denice Perry of the tornado warnings that postponed the start of the show that day. 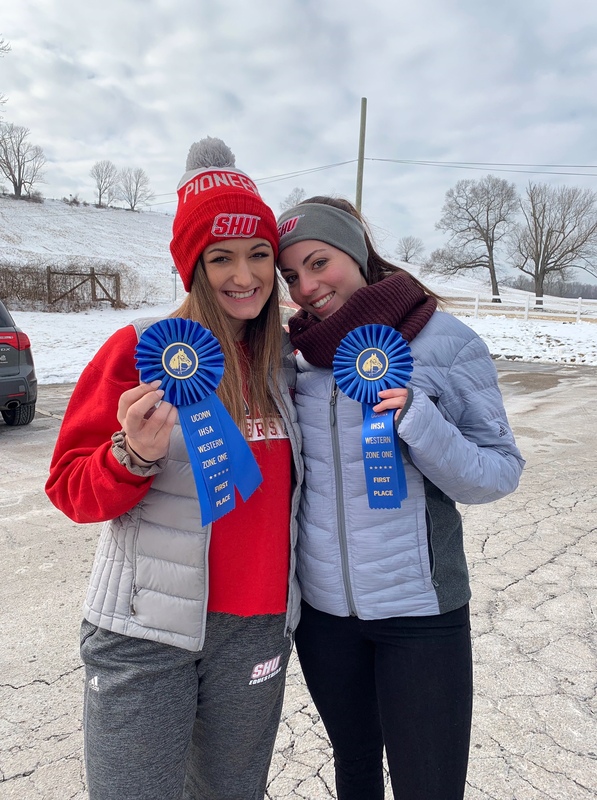 Leslie and Chiara also shared the ride aboard Gold Coast, with ribbons in the 3’6″ Performance Working Hunters as well as the Adult Equitation, respectively. 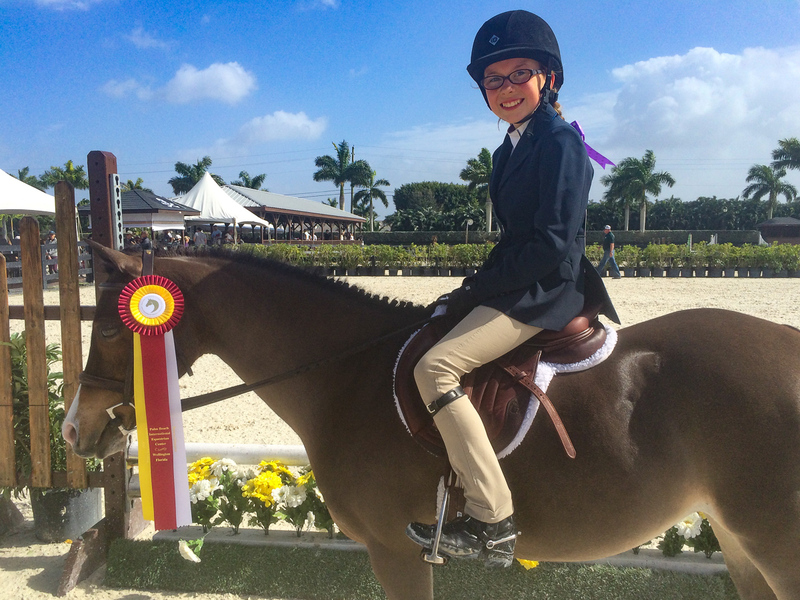 The Skyland Farm team continues to enjoy showing on the Winter Equestrian Festival in Wellington, Florida. With Week 7 a wrap, the riders have shared ample fun and great experiences while learning and improving their skills in the show ring. Breakthrough moments have also come, some reflected in ribbons and others more subtle, from mastering a challenging lead change to learning a new mount’s favorite treat. Skyland Farm thanks the owners, riders, parents, grooms and other supporters who’ve made these first seven weeks so wonderful! Skyland Farm traveled to the FTI Consulting Winter Equestrian Festival circuit in Wellington, Florida, for the winter, where clients and horses have enjoyed a great start. After Week 4 concluded, the Skyland Farm team had earned a vast collection of ribbons in the Hunter and Jumper classes. 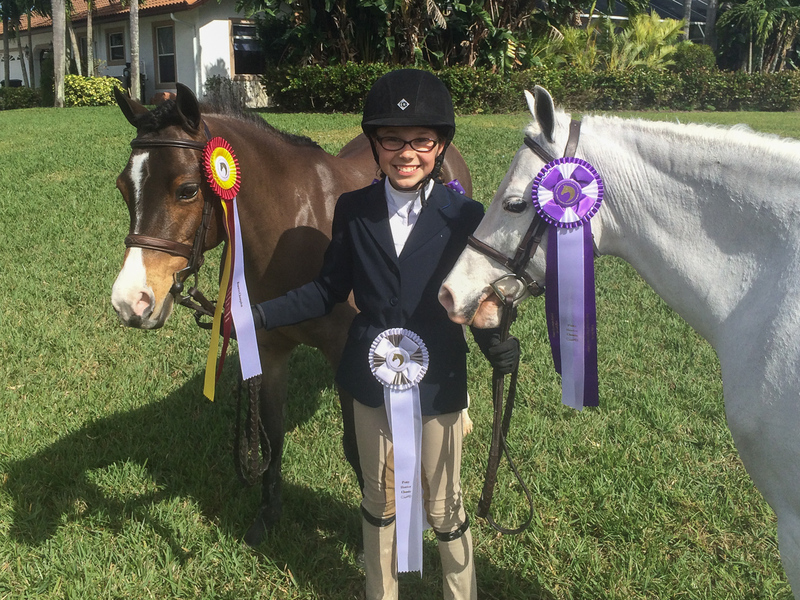 Elizabeth Wiley brought two new horses down to Florida this year and picked up her first tricolor ribbon during Week 4 with Say Again, taking the Low Adult Amateur Hunter, Section B, Reserve Championship. Elizabeth and her beautiful gray earned a first, two seconds, a fourth and sixth-placed ribbons on the way to the title. She’s also earned ribbons aboard Crescendo in the Adult Amateur, 36-50, section. Abbie Taylor and Here ‘Tiz have continued their partnership with blue-ribbon results. After traveling to Florida for the first time together last year, the pair returned for more fun in the sun. Abbie and “Tizzy” picked up a blue ribbon in the Adult Amateur, 18-35, section during Weeks 1 and 2, for an impressive start to the circuit. We look forward to adding more great results to the Skyland Farm banner as the circuit continues!